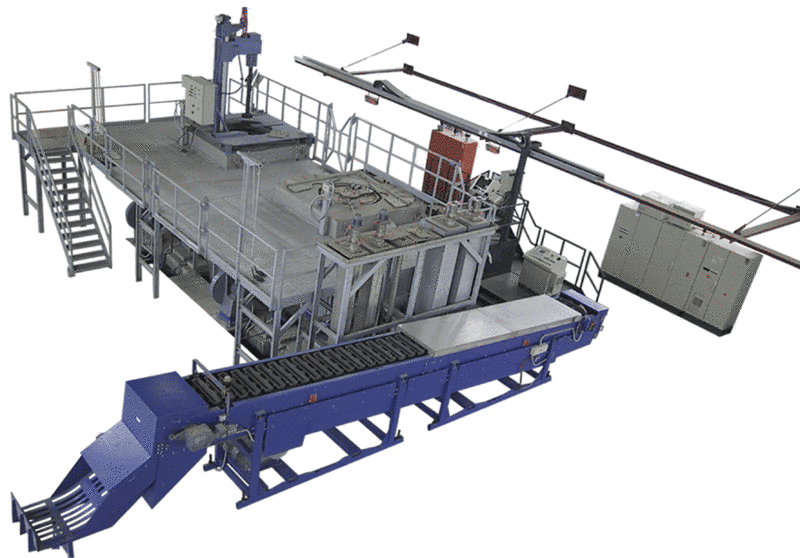 Alloying system for the salt-free or salt-assisted melting and alloying of magnesium alloys (Fig. 1). In the alloying system, alloying components can be easily and safely introduced with previous and subsequent material testing, melting quality being obtained and assured by means of salt -and gas-based cleaning or only gas-based cleaning. Final cleaning of the magnesium alloy takes place in a holding furnace. The alloying process can be recorded completely or documented batchwise. The alloying furnaces and systems can be readily extended in a modular manner and therefore easily adapted to the required capacities.